L'Oreal are little late to the party with the whole contour thing. But better late than never right? 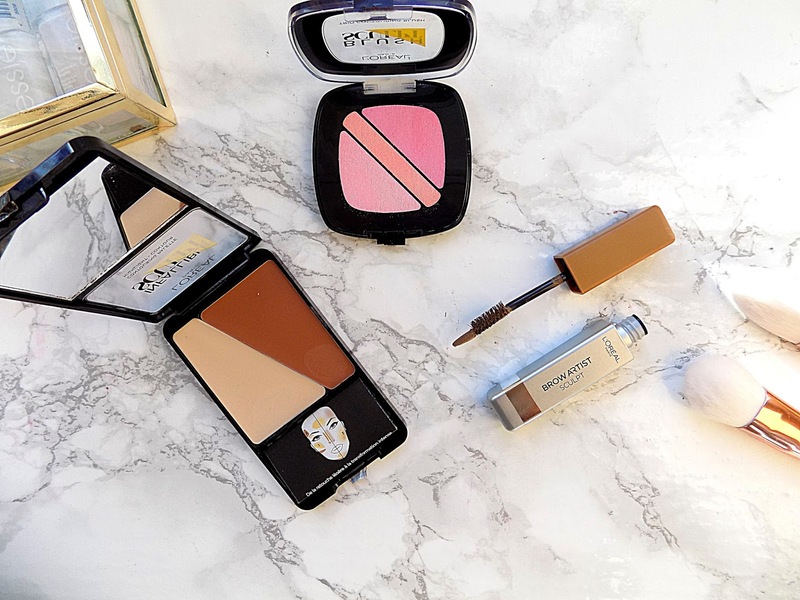 Well they have released a whole line aimed at sculpting and contouring, ranging from contour creams to eye brow gel. And here I am with pretty much the whole range. Now L'Oreal say that this a contouring base rather than a foundation. But its basically a foundation. They claim that this offers a light coverage to even skin tone and give a smoothing effect. With buildable coverage to prepare for the ultimate contour. This comes in two shades; light and medium/dark. I opted with the medium/dark. Which matches me well. Although, this isn't great for those who have a darker skin tone. Maybe there are more shades to come. But overall, I actually really like this! which surprised me because I'm not a massive fan of the other two Infallible foundations. It is lightweight and looks very natural on the skin. It has a beautiful demi matte finish, but has a kind of glow about it, which I really love. This a cream contour kit, with a dark contour shade and a lighter highlight shade. This again comes in two shades light and medium/ dark. I picked up Medium dark. The darker shade is slightly on the warm side, which is perfect for me. This nifty little kit is really easy to use, it even comes with a leaflet of where and how to apply the shades. The creams themselves are well pigmented and easy to blend. To give a natural but sculpted look! They also lasted all day, which is impressive for cream products. The range also includes some blushes. Which have three shades in each blush. They can be used individually to create more depth and dimension, or all together for a natural finish. I personally just use all three together. I picked up the shade Soft Rosy. Which is three gorgouse pink tones. Mixed together they give a lovely flushed colour to the cheeks with a beautiful sheen. I've said previously that I want to be more adventurous with my brow products. I haven't found anything I like more than my trusty Rimmel brow pencil. Until this! This is a brow gel, but has a weird little felt tip on the end, which can be used to draw and fill in the brows. This product is brilliant. The felt tip end is surprisingly easy to use and you get all the benefits of pencil and gel in one easy step. If, like me, brow gels aren't quite enough to give full, defined brows, definitely check this out. I'm very happy with all the products I picked! 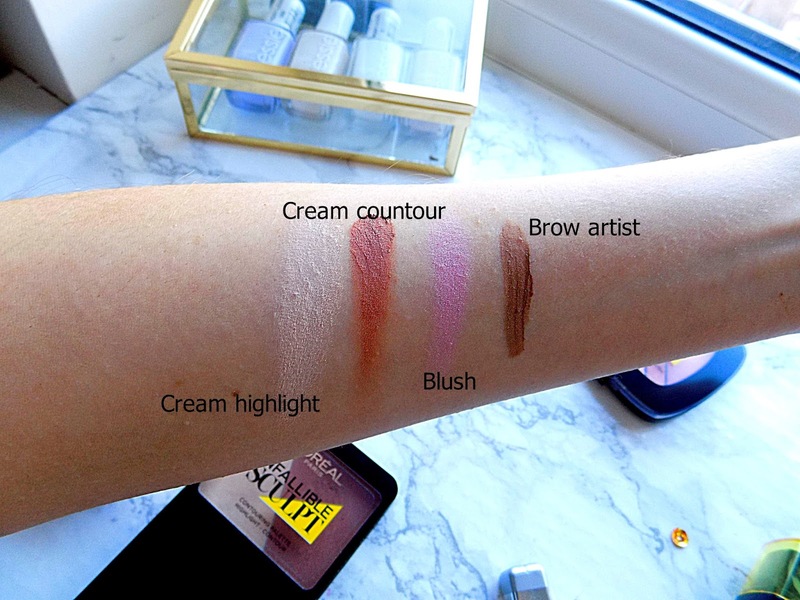 L'Oreal have nailed the contouring and sculpting with this range. 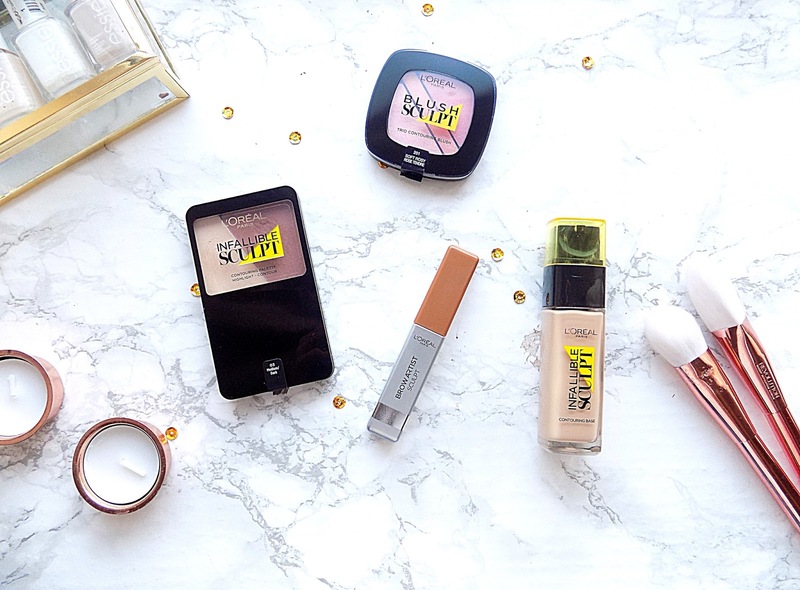 P.s Boots currently have an offer on L'Oreal two for £12, so you can get all this for £24! !